The London Sound Survey is a growing collection of Creative Commons-licensed sound recordings of places, events and wildlife in the capital. Historical references are also gathered to find out how London’s sounds have changed. 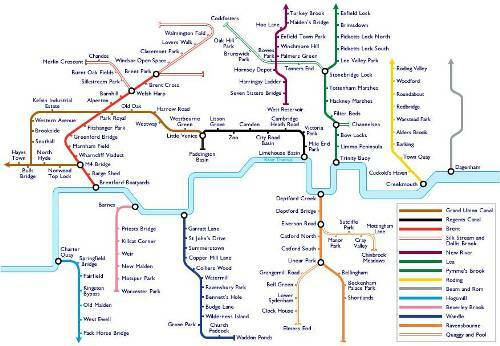 Why not begin with the Waterways Sound Map, a series of recordings collected along London’s canals, lesser rivers and streams and made into a pastiche of the London Underground map. Man-made noise, the calls of wildlife and the restless, changing character of water flowing through culverts, weirs and cuts. 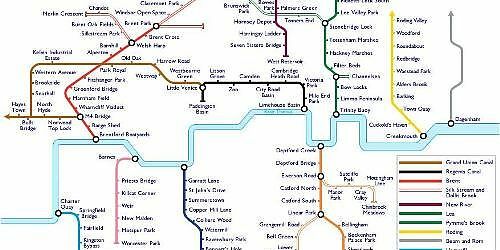 For more detail, check out the Historical Sounds and Maps section – London history explored through its past sounds in works by Pepys, Dickens, Charlotte Bronte, Orwell and others. Accounts include how loud the London Bridge cataracts were and the sales-patter of quack doctors. There’s also a new section just added called Thames Estuary Recordings made along the Kent and Essex sides of the estuary, capturing the sounds of industry, marshland, and towns from Dartford to Canvey Island and beyond.